Do you cringe every time you walk past the windows in your home and see smudges everywhere? Do you dread the thought of having to clean them? Having clean windows improves the appearance of your home (and your sanity! ), but can also extend the life of the windows and show early signs of issues. Read below for five reasons to hire a professional window cleaner. Professionals are able to recognize existing issues. You may not even realize your windows have problems that could cost you in the future. 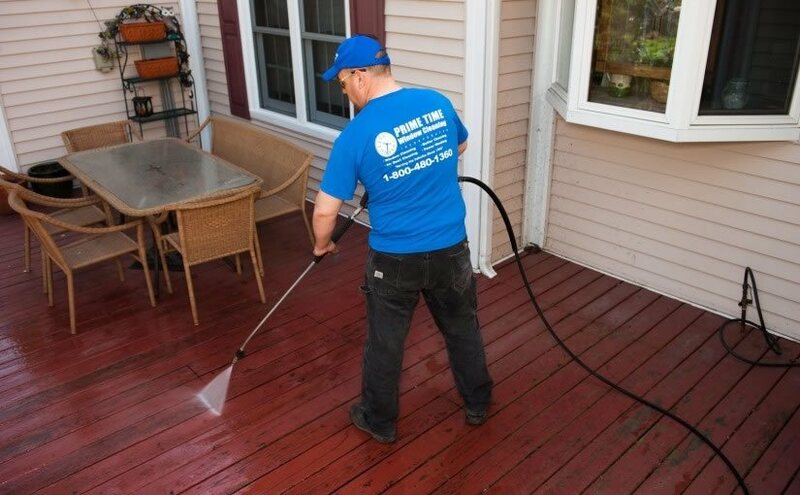 Screens may not fit correctly and sills may have rot or other damage that only professionals with years of experience can identify. Professionals can remove insects. Bees, hornets, wasps and ladybugs are all insects that like to build their nests between storm windows or behind shutters. Not just an annoyance, these nests could be a blockade for an escape route in the event of an emergency. Professionals know and utilize the proper cleaning products. Not all glass is the same; the solvents you use to clean your windows could be causing damage without you even knowing it. Not only can an experienced window cleaning company remove smudges, it can also inform you of the products you should use when you clean them yourself. Professional cleanings can extend the life of your windows. 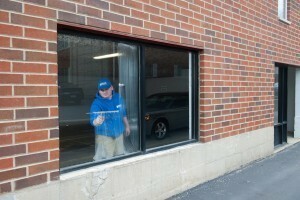 Professionals can treat windows that are damaged from old, untouched screens. Glass that has been damaged by aluminum screens is prone to cracking and chipping, not to mention is aesthetically unappealing. Professionals can pinpoint what is causing spots or stains on the glass. Did you know that the mulch you have in your yard may contain a fungus that is damaging your windows? A professional service will be able to recognize this so you can replace your mulch and prevent the spots from continuing. 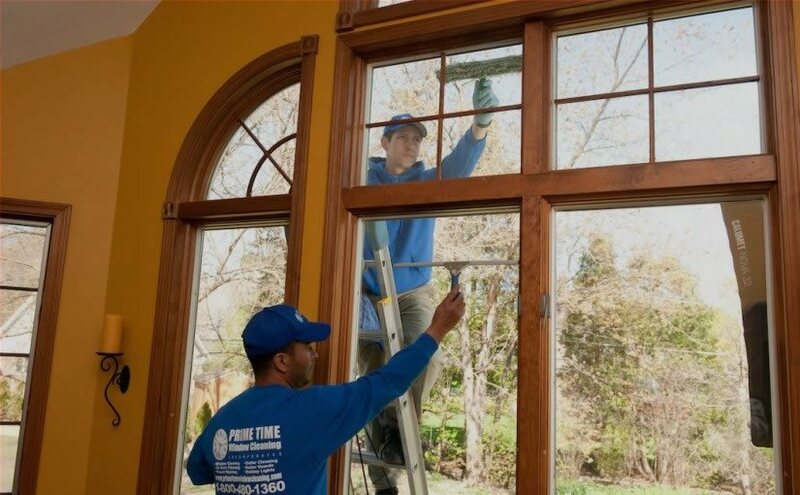 Consider Prime Time Window Cleaning to help you out with your windows this spring. We will not only leave you with sparkling, good-as-new windows, but can suggest ways to keep them clean and prevent damage moving forward.